AKC Registration is your proof that the puppy you are buying is a purebred dog. It is a starting place for all puppy buyers who want a purebred dog. A purebred dog is eligible for AKC registration if its litter has been registered. 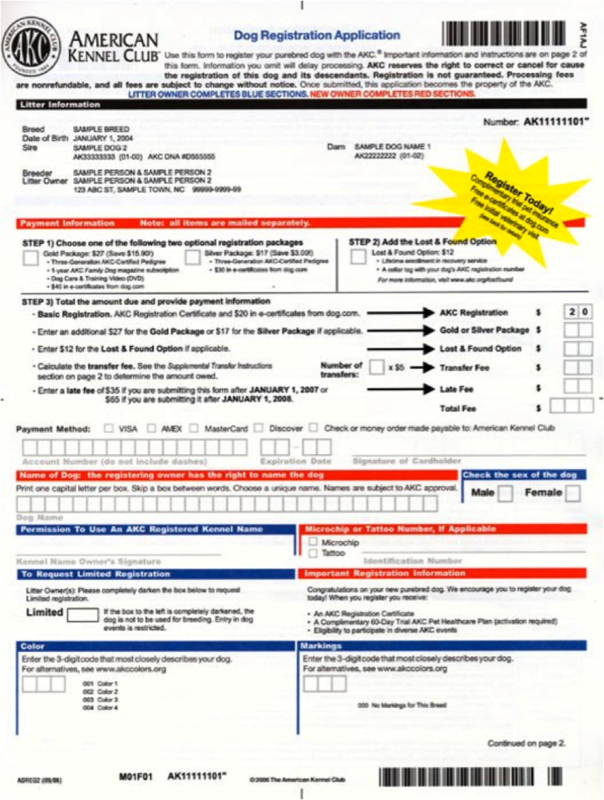 When you purchase a dog said to be AKC-registrable, you should get an individual Dog Registration Application OR an AKC Registration Certificate from the seller (see examples of the papers below). 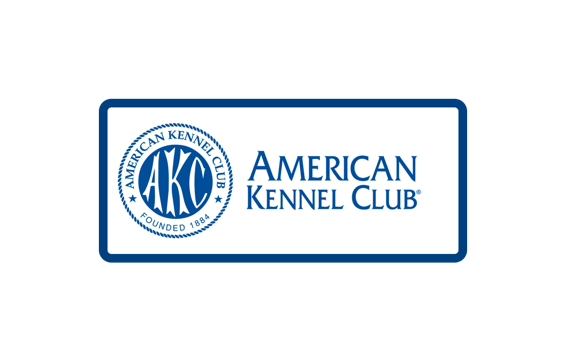 Once the application has been completed, you should submit it to the AKC with the proper fee. 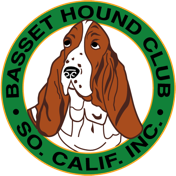 The application below is a sample of the American Kennel Club (AKC) Registration Application. The AKC issues these applications when an AKC breeder registers a litter. Puppy buyers should get their copy of this application when they buy an puppy or when they fulfill contract obligations to spay/neuter the puppy that hasn’t been individually registered with the AKC. If you are interested in purchasing a puppy from anyone insist on seeing the AKC registration application before paying or contracting to buy the puppy. The certificate below is a sample of the American Kennel Club (AKC) certificates. The AKC issues these certificates when an AKC breeder or buyer registers a dog. Puppy buyers should get their copy of this certificate when they buy an individually registered puppy or when they fulfill contract obligations to spay/neuter the puppy. If you are interested in purchasing a registered puppy from anyone insist on seeing the AKC certificate before paying or contracting to buy the puppy. If the breeder is an AKC Breeder of Merit both the certificate (see below) and the application will bear the official AKC Breeder of Merit logo.